Fabric wraps around the front, sides, and most of the back. It looks great, but it is sheer enough to snag fairly easily. On the back are the ports used by Beam —the power input, HDMI, and 10/100 Ethernet. 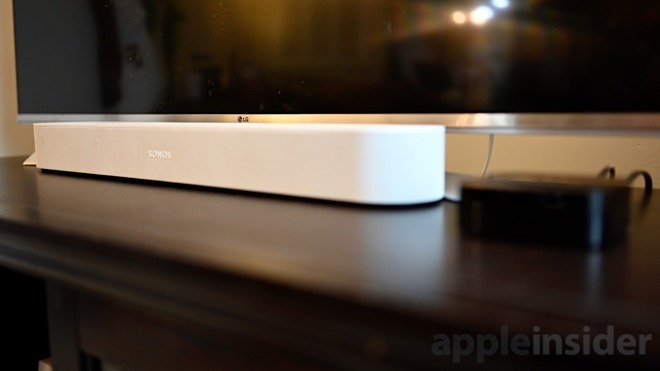 Getting content to the Beam is simple — assuming you have a somewhat recent TV. The primary method of routing television audio is over HDMI Audio Return Channel — or ARC. Many modern TVs have ARC output and it is easily identified by those telltale letters emblazoned next to the port on the rear of the TV. 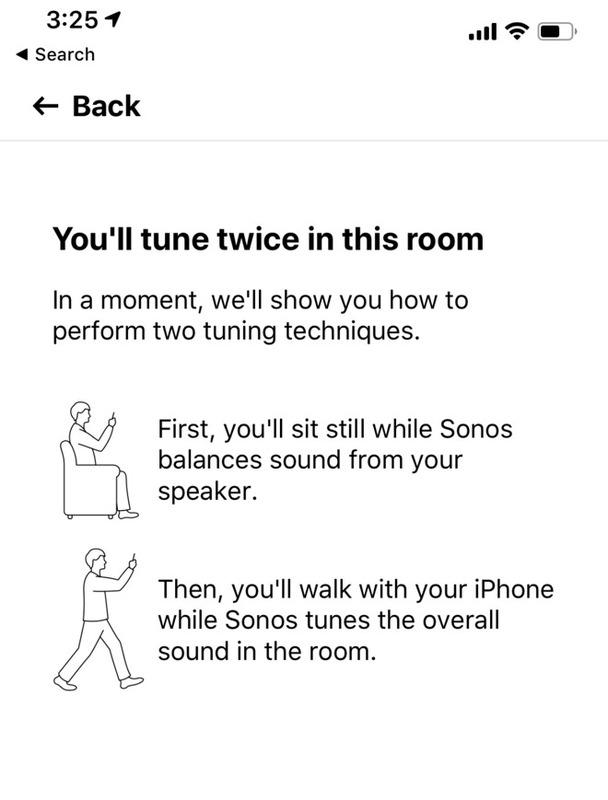 After connecting the speaker and adding it in the Sonos app, there are additional —and optional —steps for better performance. One of those is enabling Trueplay Tuning. During this two-step process, you first sit in your usual spot, then you move about the room wildly waving your phone while a series of tones and beeps are emitted from Beam. Yes, this will confuse any cats or dogs you may have around. 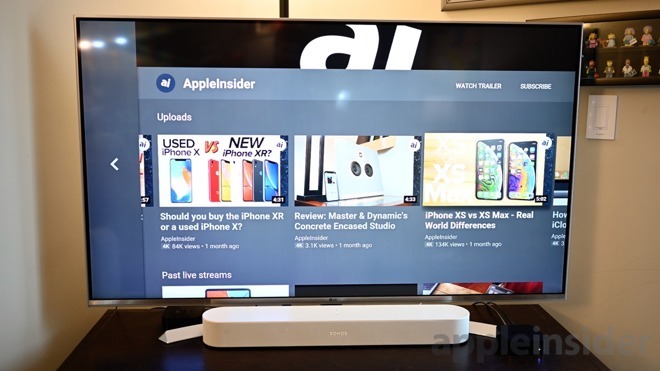 Like other AirPlay 2 speakers, the Beam will show in the Home app, but that's about all it can do. 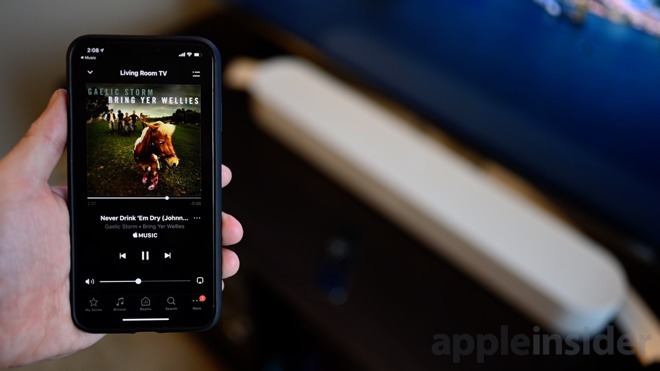 When playing music on the HomePod, you can play or pause from the Home app. 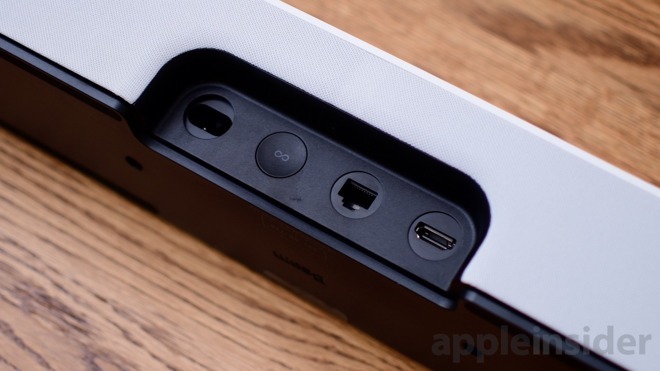 Sonos Beam (and other third-party AirPlay 2 speakers) instead just show up. They don't do anything in the Home app — for now. We hope in the future Apple expands HomeKit functionality for speakers, letting them be built into scenes and automation routines. 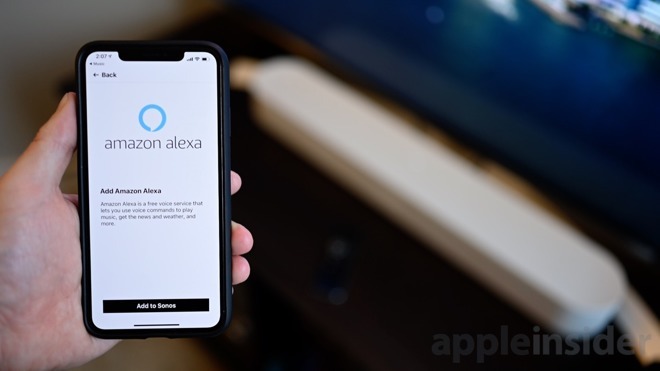 Right now the sole voice assistant available on the Beam is Amazon's Alexa —turning your soundbar into a much louder Amazon Echo. So far, there are two ways to play audio through your Beam. 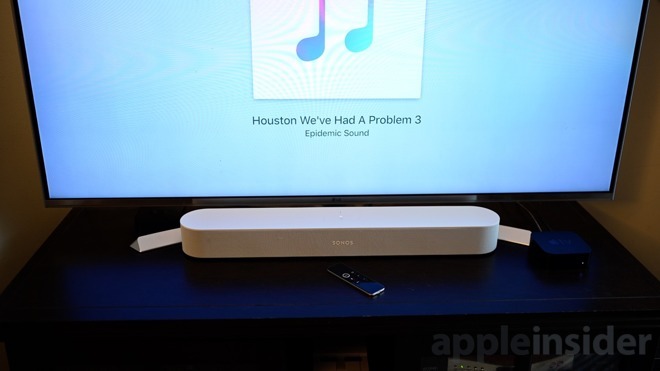 You've got your TV and you've got AirPlay 2. 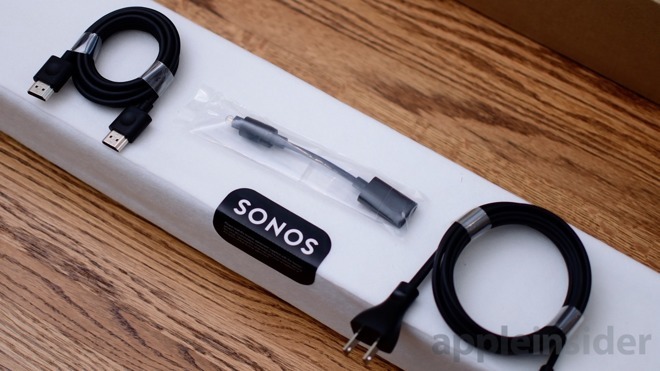 There are then countless music services within the Sonos app you can activate. 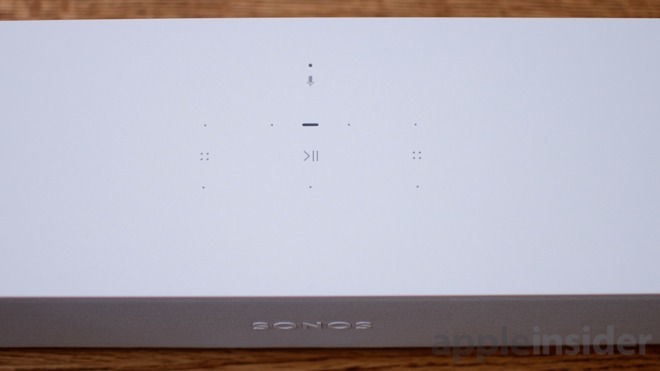 The list is huge — which anyone familiar with Sonos will know — and includes everything from SoundCloud to Radio Disney to Plex to Spotify. For the Beam, sound-wise it is perfect for a small to medium sized room. In our approximately 200 square foot living room, at max volume Beam was a bit too loud to handle. 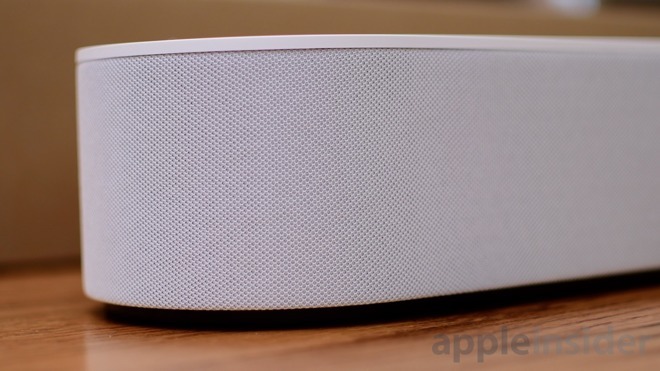 Still, we found ourselves desperately yearning to add both the Sonos Sub and Sonos surround speakers — all which connect wirelessly. The combination makes for a more immersive experience and add some extra volume and depth for larger rooms. 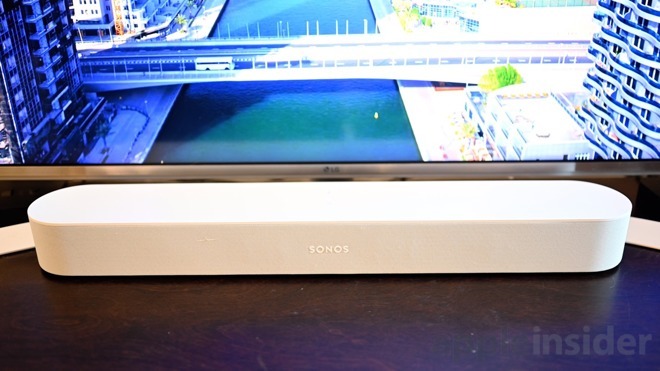 The Sonos Beam has a great deal of versatility between the sources it can play, as well as how it is played. Other than lack of substantial bass, sound quality is exceptional and can grow and expand with you —at a steep price.